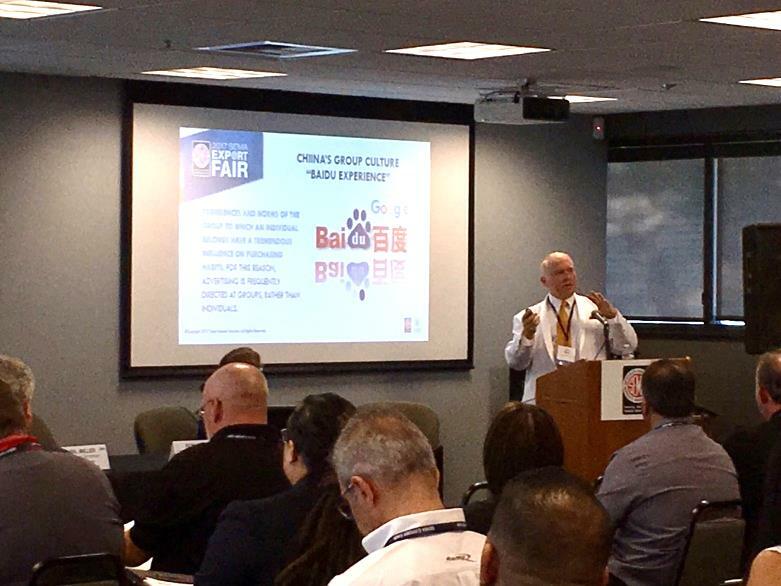 Diamond Bar, Calif. July 26, 2017 – co-sponsored by the U.S. Department of Commerce the Second SEMA Export Fair was held at the SEMA Garage in Diamond Bar, CA. The international fair is designed for SEMA members that are interested in learning how to sell to 90% of the world’s customers who reside outside the United States. Ron Weber, Chief Operating Officer of Trinet Solutions addressed the strength of social media marketing for businesses in China. “There is a strong presence of Chinese businesses on social media. Popular social media platforms are leveraged by businesses to engage directly with consumers online,” he said. Much of the differences between American and Chinese social media revolve around cultural norms. “The Chinese define themselves based on their group affiliation. For this reason, Key Opinion Leaders (KOLs) are widely popular and highly effective as marketing tools. In addition, businesses need to be aware of government rules and regulations relating to media censorship that extend to digital content on social media,” Ron added. Ron Weber’s discussion included an in-depth study of the different popular social media platforms used, including Wechat (Weixin in China) and Weibo. SEMA members were provided with Ron’s unique tips and insights on effective ways to leverage the different social media platforms to reach the intended target market segments in China. “The audience was engaged with the presentation made by Ron Weber in which he outlined how U.S. companies can promote their brands via social media in China in the absence of Facebook, Google and Twitter,” said Linda Spencer, Sr. Director, International and Government Affairs SEMA. Ron concluded that given the huge cultural differences in China and the prohibition on western social media, it’s important to find a trustworthy digital partner when venturing into the Chinese Social Media marketplace. Specialty Equipment Market Association (SEMA) is a trade association that consists of a diverse group of manufacturers, distributors, retailers, publishing companies, auto restorers, street rod builders, restylers, car clubs, race teams and more. The companies that founded SEMA were started by people who loved cars and trucks and turned their hobby into a career. Today the organization performs many services for its members and for the hobby as a whole. SEMA protects consumers’ rights to drive accessorized, customized and vintage vehicles. SEMA also presents an enormous trade show in Las Vegas where manufacturers unveil their latest offerings before buyers, distributors and members of the press. 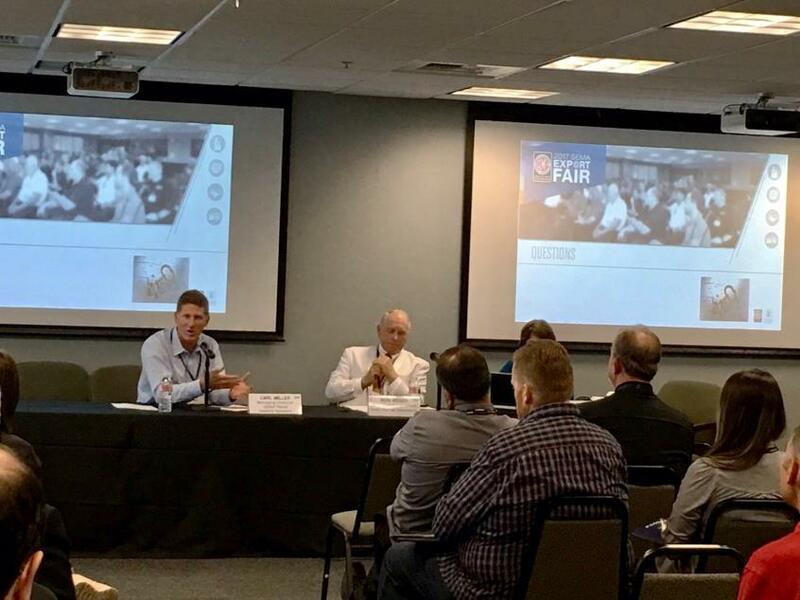 The second SEMA Export Fair is designed for SEMA members who are interested in learning how to sell to 90% of the world’s customers who reside outside the United States and is geared toward companies that are looking to grow their businesses through exporting should consider attending. To learn more, please visit https://www.sema.org/events/2017/07/25/sema-export-fair. Trinet, in partnership with Wings Promos, is a global marketing company with extensive digital marketing experience in the US and Asia including China, Vietnam, Singapore, India, Dubai, Sri Lanka, and more. Headquartered in Irvine, CA, Trinet Solutions, Inc. is a full service digital marketing firm specializing in assisting clients grow their organization through Web Strategy, Website Design and Development, Mobile Apps, Internet Connected TV Apps, and Online Marketing including Social Media Marketing, Online Fundraising, Email Marketing, Search Engine Optimization (SEO), Search Engine Marketing (SEM), and more. With 23 years of experience, over 1500 award-winning digital projects, and more than 95 industry awards – trust Trinet to take your digital initiatives to the next level. To learn more, please visit www.trinetsolutions.com. Call today and get started 949.442.8900.